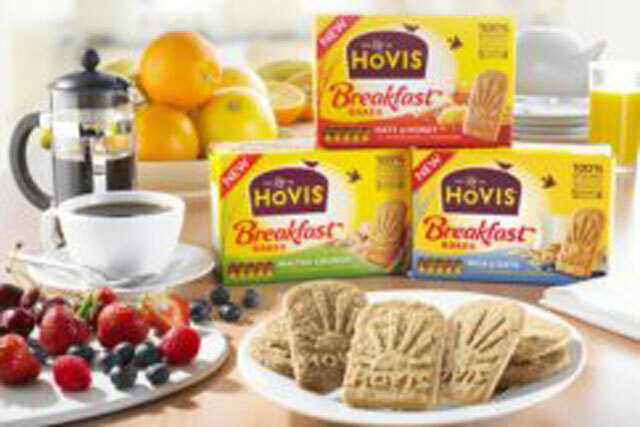 Hovis is launching a range of breakfast biscuits supported by a major marketing campaign in an attempt to pinch market share from Kraft-owned Belvita. The brand is called Hovis Breakfast Bakes and it will launch in three varieties – Oats & Honey, Malted Crunch and Milk & Oats. Like other Hovis products, they will be made with flour milled from 100% British wheat. The varieties will cost £2.19 for five packs of four biscuits each and will launch this month. Breakfast Bakes will be supported by a £4m marketing campaign, including TV support, along with money-off coupons. The marketing campaign will run for the next 12 months. Premier Foods, the owner of Hovis, has opted to launch the brand under the Hovis brand and not as a new brand. It will compete directly against Kraft brand Belvita. According to Premier Foods, the breakfast biscuit category – which is fast-growing – is worth £33m. Breakfast Bakes will particularly target women aged 25 to 45, many of whom apparently skip breakfast regularly. Iwan Williams, managing director of the brand, said: "We are working on a range of innovation across our portfolio of brands, aligning to consumer tastes as well as expanding into broader categories to drive growth."